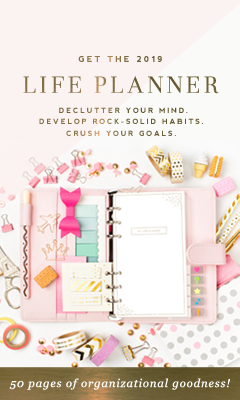 I don’t know about you but I’ve always been obsessed with planners! I’ve loved them ever since I was a kid. Even in this digital age it’s still satisfying to write things down and I can’t imagine getting through the day without them. 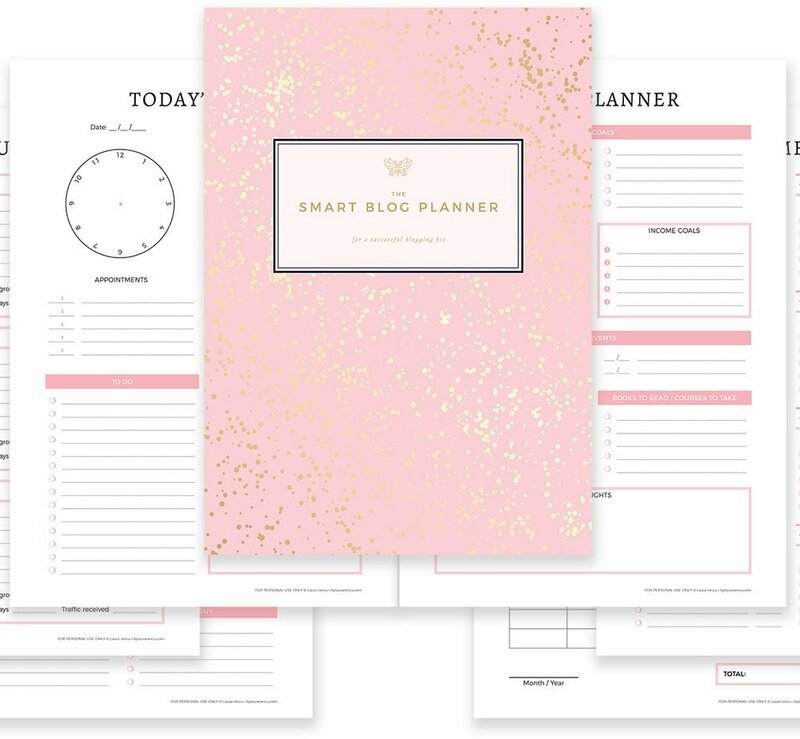 As a blogger you know you have ten thousand tasks to accomplish in any given day and a good planner is an absolute essential. 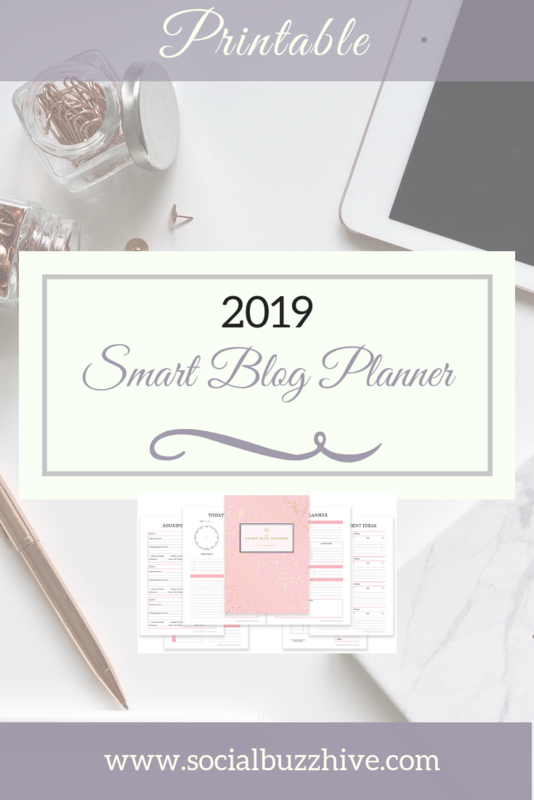 The new re designed gorgeous 2019 Smart Blog Planner by Laura Iancu will help you seamlessly organize your day, stay on top of your to-do list, skyrocket your productivity and successfully plan awesome content, projects, and product launches. I am an affiliate for this product which means I get a small commission with no extra charge to you if you decide to make a purchase. They’re at the crazy low discount of 45% off so I ordered 2 of them! You can’t beat that price. It goes up after Black Friday so take advantage of it and order today. Even at the regular price I’d order them because it’s one of the most complete planners you can find. Laura is a blogger herself so she knows what other bloggers and entrepeneurs need for their busy schedules. 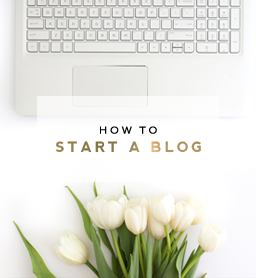 Meet your new blogging BFF! With a chic design that prints beautifully on all printers, you can finally get out of your head, maximize your time and reach your goals so much faster and with confidence. Check out the video so you can see what I mean! 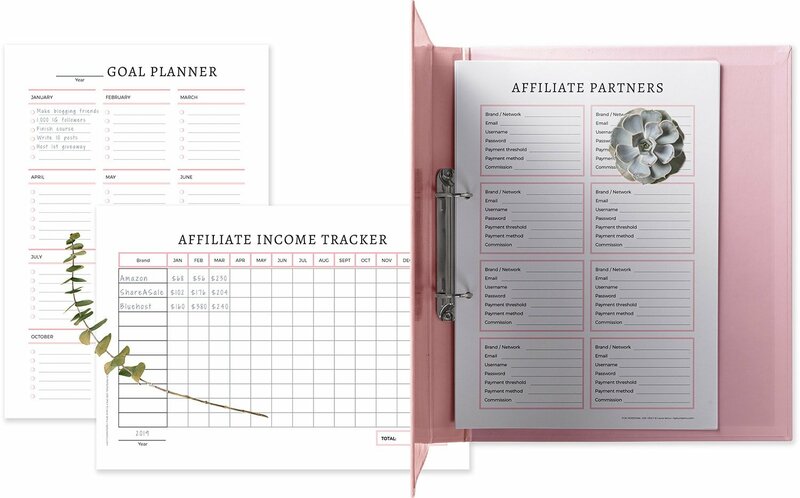 Intentional goal setting sheets, to-do lists, newsletter, giveaway, and roundup post planners, pages for tracking all your contacts, income, expenses, stats and much, much more. 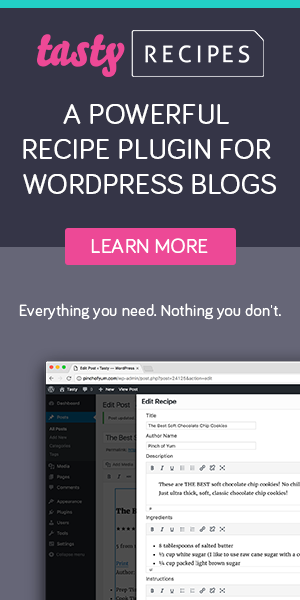 Basically, everything you need to run a thriving blogging biz! The flamingo pink accents add a touch of timeless elegance. 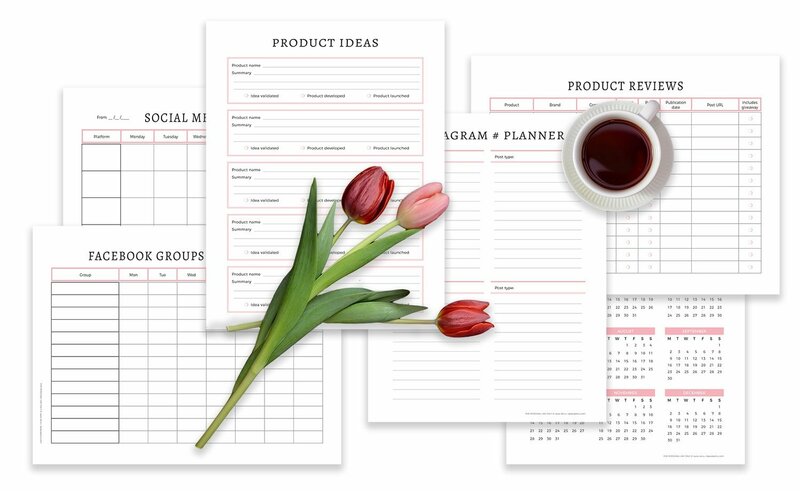 However, your printouts will still look great even in black & white – for those times when you run out of pink ink or want to cut down the expenses. I love the fact that it is UNDATED so you can start using it at any time. 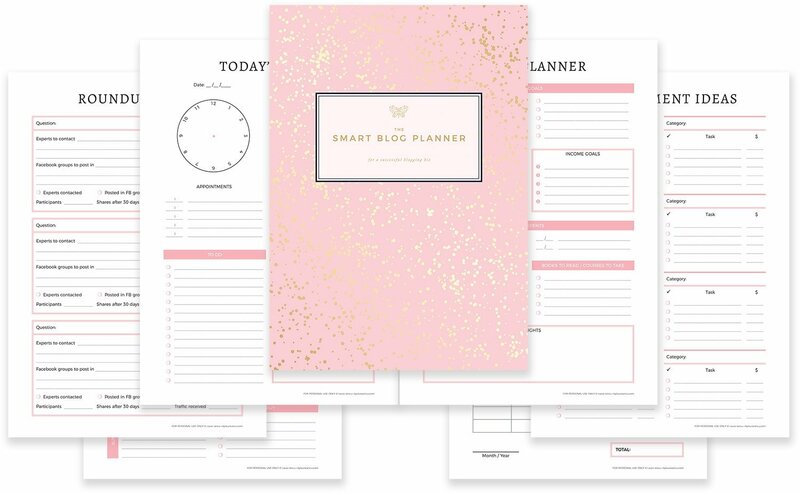 Because you can have a planner that’s elegant, sleek and uber functional all at the same time. Black Friday Special! – 45% Off! Regularly $27 – Now only $15! But only until 11/25/18. Makes a perfect gift for yourself or the blogger in your life. Order by clicking on this link now!